These Knipex insulated T-handle nut drivers might not be the most practical nut driver for everybody, but they meet IEC60900 and DIN EN 60900 standards and are rated for 1000V, so if you need them, you need them. 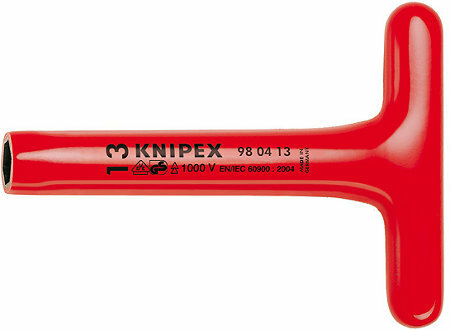 Knipex manufacturers the drivers from special tool steel and oil-hardens them. Available in 8mm, 10mm, 13mm, 17mm, 19mm, and 22mm sizes, most of the drivers are 155mm (6″) long. We can’t find any pricing on them yet, but with their electrical ratings, expect them to be expensive.